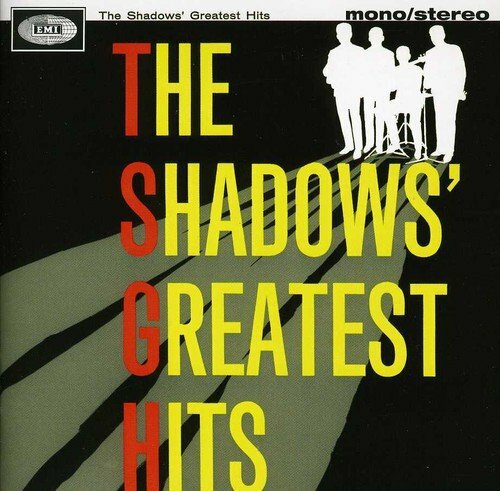 The Shadows were the UK's most successful instrumental group. They did release some vocal tracks but these were far less successful than their guitar-based instrumentals. The Railroaders skiffle group was founded by Bruce Welch. Hank Marvin, (real name Brian Rankin) joined on banjo before later switching to guitar. Initially known as the Five Chesternuts, they became the Drifters as the backing group for Cliff Richard. However, there was already a US vocal group with that name so they changed their name to the Shadows. Terence "Jet" Harris had played in a number of groups including The Vipers Skiffle Group with Tony Meehan. After the success of Move It they became Cliff Richard's regular backing group on records, tours and appearing alongside Cliff in many of his films. EMI Columbia signed the Shadows as a group in their own right. After two singles as the Drifters and the unsuccessful Saturday Dance, they were given the track Apache by writer Jerry Lordan. This stayed at number one for six weeks. Starting with bongo drums played by Cliff Richard, the track highlighted the guitar style of Hank B Marvin and it sounded quite unlike anything else that was around. In reaching number 1, Apache had removed Cliff Richard's Please Don't Tease on which the Shadows played. Tony Meehan left in 1961 and was replaced by Brian Bennett. Harris left in April 1962. John Rostill joined as bass player in 1963, replacing Jet Harris, and remained with the group until 1968. He rejoined the band in 1969 and subsequently toured with the Everly Brothers, Gerry & the Pacemakers. Tom Jones and Frank Ifield. He died in 1973 after electrocution in his home studio. The Shadows split up in 1968. Bennett became musical director for Cliff Richard. Tony Meehan died towards the end of 2005. Jet Harris died in March 2011 after a battle with throat cancer.